The annual cost of a loan, expressed as a yearly rate. APR takes into account interest, discount points, lender fees and mortgage insurance, so it will be slightly higher than the interest rate on the loan in nearly all circumstances. A software system which analyzes borrower data (employment, credit, income, debts, etc) in reference to mortgage loan program guidelines and provides “findings.” These findings yield an approval or decline along with a list of items required for the loan to close based on the entered data being verified. Costs included in a mortgage transaction and paid by borrower and/or seller during a mortgage loan closing. These typically include any loan origination fee, discount points, attorney’s fees, title insurance, survey, etc. Many people feel as though “too good to be true” when they are told they can qualify for a “NO COST MORTGAGE LOAN.” There are many cases where loan officers try to use jargon of “No Cost” to entice consumers when really the loan officer intends to add the closing costs to the new loan and increase the principal balance – this should be referred to as a “no money out of pocket” loan – BIG Difference. No Closing Cost mortgages do exist – certain lenders such as First National Finance and Equity can still offer a “True No Cost Loan” where there are not any closing costs due at closing and No closing costs added to the loan…this is a program few loan originators offer but it is still available for many homeowners and can be VERY beneficial. This program may have a slightly higher interest that the “lowest advertised rates” but it is often the best option for many consumers, especially those planning to move in the coming years or wanting to conserve equity while still saving money every month. The ratio, expressed as a percentage, that results when a borrower’s monthly payment obligation on long-term debts (such as auto, student loan, credit cards, etc) is divided by total verified monthly income. Account held by a lender containing funds collected and accrued from part of monthly mortgage payments for annual expenses such as taxes and insurance which are they paid by the lender, so that the homeowner does not have to pay a large lump sum when these come due. This document outlines the costs associated with a mortgage; including the interest rate, lender fees, title charges, pre-paid interest and insurance. The government requires that your lender give you a GFE within three days of receiving your loan application. The GFE is only an estimate; some fees can adjust based on things such as credit score, late payments, etc. Lender fees and the interest rate (if you have locked your rate) may not increase unless there is a valid change of circumstance, and certain other costs (such as title fees) may not increase by more than 10 percent from the GFE. A mortgage loan with a balance higher than the limits set by the Federal National Mortgage Association and the Federal Home Loan Mortgage Corporation. Because jumbo loans cannot be funded by these two agencies, they usually carry a higher interest rate. The standard national amount is $417,000 but can increase based on county or state such as in Alaska or Hawaii it is $625,500. Also FHA has lower limits that are established in each county in America. Interest prepaid to the lender at closing to obtain a lower interest rate. Each point” is equal to 1 percent of the loan amount. Paying additional points generally reduces a loan’s interest rate and monthly payments. Also called “monthly housing expenses,” principal, interest, taxes and insurance are the components of a monthly mortgage payment. A situation in which a borrower or seller contributes funds that allow the lender to give the borrower a lower rate, often referred to as discount points. With a refinance, this could be included in the new loan amount. There is another type of buy-down often referred to as a 2/1 buydown meaning that the borrower pays an additional fee to have the interest 2% lower the 1st year than the final fixed rate and 1% lower the 2nd year than the final fixed rate and then in the 3rd year the loan goes to the final fixed rate for the remainder of the loan term. Funds contributed by the seller toward the buyer’s closing costs on a purchase transaction. This is usually occurs when the buyer offers an additional amount on the purchase price and then requests that the seller contributes a certain amount to offset part or all of the buyer’s closing costs to minimize any funds needed at closing by the buyer. Adjustable-rate mortgages often employ a “qualifying rate” that differs from the “start rate.” The qualifying rate may be a pre-determined percentage of interest (i.e. “8 percent”), expressed as the “highest possible rate of interest at the beginning of the 2nd year”, based on the start rate (i.e. “start rate + 2 percent), expressed as the “Fully Indexed Accrual Rate” (“FIAR”) or another amount. Lenders use this qualifying rate to calculate debt to income ratios on adjustable rate and 2/1 buy down loans in an effort to assure that borrowers will be able to meet the financial obligation of the mortgage once the rate adjusts. What is the Best Type of Loan when Buying or Refinancing a Home in the Park City, Utah area? This article will help you better understand what type of loan is best for you and the different options that are available depending on your circumstances. Often times when financing a home I have realized that people feel much like they do when they go to the doctor…what exactly is it, I guess…if that is what you recommend… In simplicity few people purchase or refinance multiple homes every year, so experience in this realm can be limited. Additionally, with the rapid changes in mortgage lending guidelines, government regulation and the advancement of technology it is a continually changing marketplace that can be confusing and has many more “moving parts” than most people realize unless they do this day in and day out – much like your career does. Is a Conventional (Fannie Mae/Freddie Mac) Loan Right for You? I have included the current information about conventional loans and why a conventional loan may be a good fit for your situation or the reasons that make it not the best choice for you. 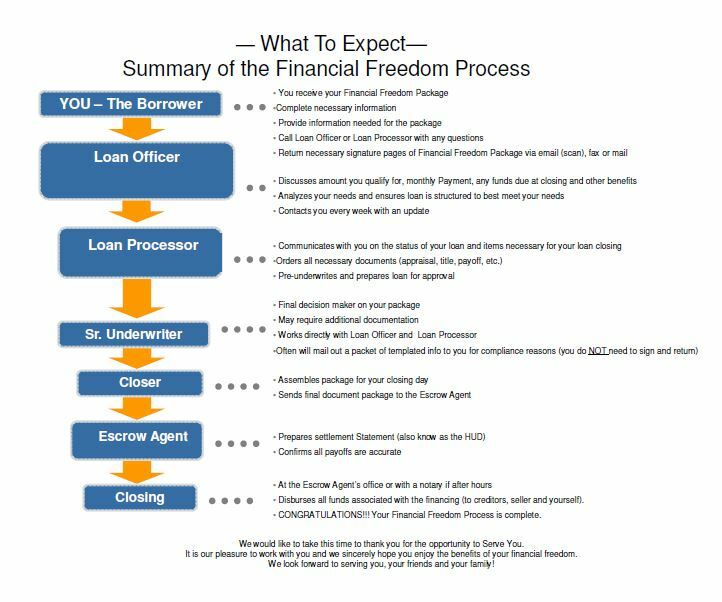 I have put it in simple bullet point format to try and minimize any confusion and help you through this loan process that can feel rather convoluted from time to time. Nearly all lenders and banks offer conventional loans but rates and closing costs can vary greatly. - We do offer options where there is NO Mortgage insurance at a slightly higher rate so that most people can write this off on their taxes as mortgage interest (ask your accountant to confirm). In summary – if you have 680+ credit score and are borrowing 80% or less of the home’s value this is usually the best option for you. If you are a Veteran, credit under 680, or less than 20% equity or down payment there is usually a better option than a conventional loan for you. What are the Real Benefits to an FHA Loan? Again, I want to keep this very simple and straightforward for you...let’s skip the “fluff” so that you can get the information that you really would like to know and that matters in your home purchasing experience. There are many situations in today’s lending environment that make an FHA (Federal Housing Administration) the preferred loan type. - Summit County is one of the few places in the Nation that allows such High FHA loan amounts: $600,300 on a single family homes and $1,154,450 on a 4-plex. - Still allows a non occupying co-borrower to qualify – great for when you need a little “help” from a co-borrower. - Allows for manufactured homes in many cases as long as they are newer than 1976 and on a permanent foundation. An FHA loan also comes with some downsides for those with large down payments and high credit scores. So in summary - if you are looking to buy a home or refinance to the lowest interest rate possible OR if you have minimal down payment or little equity an FHA loan can be exactly what you need. Also in those times of “a credit issue or two” this is usually the best option available for you in today’s credit market. Make a difference in your financial future by calling to find out more today and have any questions answered that you may have. Can Your VA Benefits Really Benefit You when it comes to Financing a Home? - **If you have an existing VA loan you can refinance WITHOUT an appraisal and without verifying income. - Allows you to defer up to TWO payments when refinancing. - The only loan type that still allows the appraisal cost to be included in the loan. Really the only downside on a VA loan is that if you do not have 10% or greater disability there is a Funding Fee paid to the VA of 2.2% to 3.3% of the loan amount which is included in the loan at funding but does not count toward the maximum loan amount allowed on refinances or purchases. So there is the answer – YES, your VA benefits can really be beneficial when purchasing or refinancing your home. Low rates and No Money Down – both are great benefits that you need to consider taking advantage of if you have them available to you. Jumbo Mortgages are usually referring to any mortgage over the national conforming limit established by the US Government which is currently $417,000. However there is one caveat to this in that there is a class of loans considered high conforming limit loans that applies to a few, limited areas of the nation. The Park City and Summit County, Utah area is one of those select areas. True Jumbo Mortgages - over $600,301 – in the Park City area are available on our various programs with as little as 10% to 15% down payment (10-15% equity when refinancing). Once loans exceed $1,000,000 the necessary down payment percentage increases in order to offset the risk that is perceived on higher loan amounts. Traditional Jumbo Mortgages are available up to $3,000,000 without any special exceptions but when the loan exceeds $3,000,000 then it is traditionally underwritten on a case by case basis with no exact guidelines as it is a situation where the “whole financial picture” is considered much differently than on smaller loans where things are more “cut and dry.” We are able to do residential loans up to $12,500,000 to meet your financing needs and get you into your dream home. The terms of a Jumbo Mortgage often times are at a higher interest rate than traditionally conventional mortgages so many borrowers choose to go with an Adjustable Rate Mortgage (ARM). The most popular options are loans that are fixed for 3, 5, 7 or 10 years based on a 30 year repayment (amortization) period. This allows for a lower interest rate, since the lender is forecasting rates for a shorter period of time and with many of the Jumbo Mortgages being “portfolio loans” where a lender or bank offers a rate based on making a profit between the amount they are paying in yield to their customers with funds on deposit and what rate they are lending the funds to others at (such as yourself) and when the bank has more certainty on what the yield is they will have to pay for funds on deposit they can offer a lower rate, since they are not hedging for as long of a period. Construction loans are also available on Jumbo Mortgage amounts and are underwritten on a case by case basis so we can ensure that we deliver the highest quality customer service experience to meet your financing needs and overcome the unique circumstances that can occur when building your new home.